Catch Our Drift Productions Inc. (CODP), established in 2015, is an independent publisher and provider of publishing services. CODP builds on our team's shared passion for the written word. We aim to bring fresh new stories to life with a focus on quality content, professional production and conscious promotion. We are based in Gibsons, on the Sunshine Coast of British Columbia, Canada. 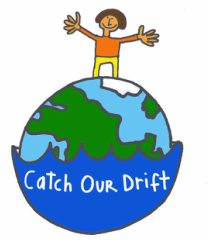 NOTE: The Catch Our Drift name was previously used by co-owner Sheila Cameron's experiential tourism venture, also known as Earthly Journeys, which connected visitors with local Sunshine Coast residents to provide unique off-the-beaten-path experiences. After four years and a lot of fun journeys, Sheila closed that operation in 2016 to focus on her work as a writer, publisher and editor. Sheila Cameron is a professional editor and member of the Editors' Association of Canada. Sheila pursued education and experience in Hospitality Management (Compucollege) and Accounting (BCIT), before turning her attention toward Writing & Editing (SFU). She also spent 19 years employed as a letter carrier for Canada Post, allowing her a lot of freedom for travel and the opportunity to stay at home with her two young children. Living, learning, being, doing, experiencing, trying, helping, planning, truth-telling, believing, inspiring—these are a few of Sheila's favourite things. Mark Cameron is an author, book designer and entrepreneurial jack-of-all-trades. Mark's education in Computer Science (BSc from the University of Calgary), combined with education and experience in page layout, print production and e-book design, provides him with a unique combination of skills to navigate the modern world of publishing. Mark's work history includes dream jobs at Canadian Airlines and Parks Canada, before co-founding Techneos Systems Inc., which developed and published survey software for mobile devices. Following the sale of Techneos to Norwegian firm Confirmit in 2011, Mark turned his attention to writing, and to helping other authors create, produce and distribute their literary masterpieces. Weegee Sachtjen. Slightly impulsive, overly idealistic and way too reliant on the seat of her pants is how Weegee has lived her life. She has a degree in filmmaking from North Carolina School of the Arts, which didn't really prepare her for the ten years she spent behind the camera at local news stations in Las Vegas, Nevada and Portland, Oregon. She credits her love of learning, ability to wedge herself into tight places and an utter fascination with "what if" questions for igniting a roller coaster career from production assistant to promotion producer to website content producer. She calls Gibsons, BC, home, along with a supportive husband and spoiled rotten cat by the name of Random. Catch Our Drift Productions works with other contractors and designers as required to produce works of professional quality and literary merit. If you think you would be a good fit for working with the CODP team, please Contact Us.